What is it you want to do or be that you are not currently doing/being? What's holding you back? What would life be like if you could achieve your wildest dreams and reach your personal or professional goals? As a coach, I use my 25-years experience in change and transformation, to help you get the results you want for your life. Together, we will look forward to where you want to be, and then design a personal system that will get you to your destination. I look forward to working with you. Michelle is a Results-Oriented Life Coach, whose focus is on getting the results you want in your personal or professional life. If you are unclear what you want, then getting clear will be your first goal. As your coach, Michelle will initially help you to outline a clear goal or vision, and identify the step-by-step actions, skills and systems needed to reach and maintain your goal/vision. Both goals and actions come primarily from within the individual, and Michelle believes that each person carries their own solutions within them. Her role as coach is to ask penetrating questions, co-design success systems and identify thought and behaviour patterns that have been obstacles to your success until now. I look forward to working with you. My intention is to provide the highest quality of service to you; I ensure this through regular professional training and I also regularly engage in coaching for my own personal and professional development. I bring to the table 25-years experience as a counselling psychologist, executive coach, workshop presenter, organisational facilitator, speaker and writer. 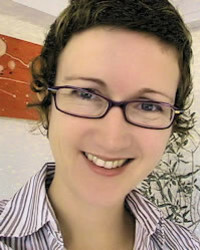 As a psychologist and psychotherapist, I worked with individuals, couples, teams, organisations. In 2011, I retired from my private practice after 12-years, and shifted focus exclusively to coaching. The emphasis in coaching is on accountability, action taking, mindset-change, discovery and curiosity. Coaching is future-focused and in the pursuit of specific goals. Coaching is not problem-focused. Coaching aims to quickly increase your independence, to teach you to be resourceful between sessions, so you learn the skills to be self-sufficient in maintaining your life-change.